Designing for Hedwig and the angry inch - the Broadway show! Hedwig & The Angry Inch is about how we find self-acceptance and redemption despite the expectations and identities imposed on us by others. No one can live free from the influence -good or bad- of others. How we negotiate those influences defines who we are. Luther, Hedwig’s mother and Tommy impose expectations on Hedwig. She accepts them, grows resentful and feels trapped, until she realizes it’s within her power to escape. 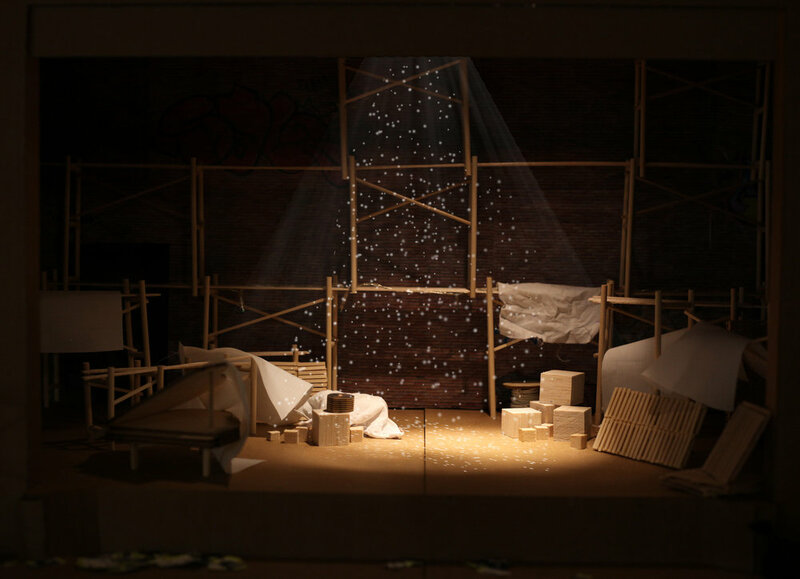 The visual research we did for the play is indicated in this blog. Based on Belasco Theatre's architectural drawings we made an 1/2" scale model of the theatre. The visual research, model and scenes together formed the creative decisions made for the set. “To walk away, you gotta leave something behind." At home in Berlin, Luther proposes with a ring, wig and an application for American citizenship. In hearing Tommy sing her song, Hedwig understands that she is ultimately responsible for her own identity, and isn’t beholden to the identity assignments of others. During Midnight Radio, Hedwig hands her wig to Yitzhak, acknowledging that she has been denying him his identity. Hedwig finds peace.